There is a much more interesting number connected to the Aubrey holes. 360° ÷ 56 = 6.4285714°. In the diagram below all the black dots, Suns and Moons are all positions of the full Moon. The ones in the central zone are full Winter Moons which become involved with eclipses of both the Sun and Moon at both the Winter and Summer Solstices. These are not the positions of the actual eclipses. The Winter Sun never comes near the Avenue and the Summer Moon closest to Summer Solstice will eclipse between the uprights of the Great Trilithon. When the Winter Moon is traveling from its Minor to Major position over 18.61 years, it will be in the middle zone every 10, 9, 9 years. When it is in its Minor or Major position it indicates eclipses close to the Equinoxes, but in the middle zone it indicates eclipses at the Winter and/ or Summer Solstice. By watching the position of the Winter Moon’s rising, the astronomers at Stonehenge would know whether there would be an eclipse close to either the Equinoxes or Solstices. As can be seen, the middle zone is not quite 6.5° wide, it’s more like 6.4285714° wide. There are several theories about eclipse prediction at Stonehenge and the manner in which it could be done. They all work, but the people at Stonehenge had a much simpler way. If they saw that the Winter Moon indicated an eclipse of the Moon close to Summer Solstice, all they had to do was count the days on their calendar until the full Moon in May. This would tell them when the next full Moon would be in June. 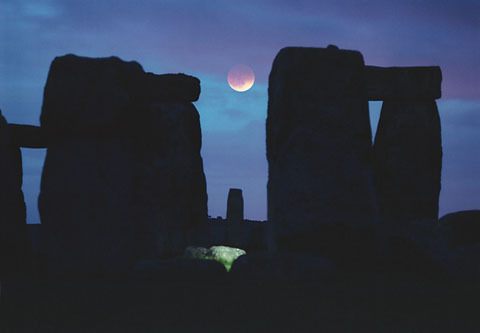 Gerald Hawkins was at Stonehenge in 1964, he knew there would be an eclipse of the Moon on June 25. He noticed that the time difference between the Moon’s rising and the Sun’s setting became shorter by almost an hour a day, until June 24 when the Moon rose 15 minutes before the Sun set. Six hours later there was an eclipse of the Moon at around 2 AM, June 25. I checked out this eclipse in 1964 on Cybersky, and what I found was that the first flash of the Moon above the horizon occurred at 8:06 PM and by 2:31:43 AM the Moon had eclipsed and now the first sliver of light was appearing again. 6.4285714 hours = 6 hours, 25 minutes and 43 seconds. This is the amount of time between 8:06 PM and 2:31:43 AM. This time difference between the Moon rising, the Sun setting and the eclipse will always be the same, except that the time of the eclipse would be different on June 10 than it would be on June 22, because on June 10 the Moon will rise earlier and the Sun set earlier, and so the eclipse will also be earlier. There is also a limit to the time difference between Moonrise and Sunrise for an eclipse of the Sun. If the Moon rises too long before Sunrise, the Sun will not have time to catch up to the Moon for an eclipse. That is what actually happens for an eclipse of the Sun. The Sun is traveling faster than the Moon and it passes behind the Moon to become eclipsed. There is one other thing which I discovered about this magic number 6.4285714. I was so curious about it that I looked it up on line just to see if something would come up about this. And it did. 45 days = 6.4285714 weeks. What was the meaning of this 45 days? New Years day of the Stonehenge calendar was June 21. At Sunset that evening a marker was placed between Aubrey holes 28-27, this was to mark the first day. The marker then travelled counter-clockwise, not being moved until Sunset of each day. Including June 21 as day 1, 45 days will take you to August 4, day 90 is September 18, day 135 is November 2, day 180 is December 17, day 225 is January 31, day 270 is March 17, day 315 is May 1, day 360 is June 15. 8 x 45 = 360 + 5 = 365. It is likely that they had permanent mark stones at these eight places on the Aubrey hole circle. Perhaps painted different colours, or painted with different symbols which would tell them which day it was when they came to one. Our modern quarter and cross quarter days are June 21, August 1, September 21, October 31, December 21, February 2, March 21, and May 1. The quarter days are in June, September, December and March, these are the Solstices and Equinoxes. Trying to pinpoint the exact day of the Solstices just by observing Sunrise is very difficult because the Sun seems to stand still for several days before you will notice the movement in the other direction again. But at Stonehenge they had their calendar to tell them when the exact day was. 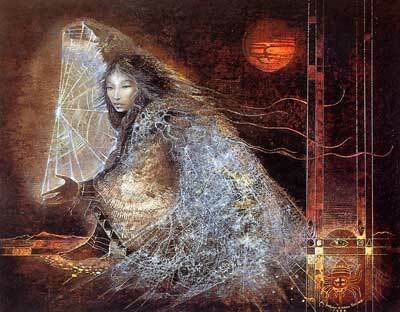 Including June 21, it is 184 days until Sunset of the Winter Solstice. You can see where day 180 is, in three days the marker would be between 13-14 at H. The next morning will be the Sunrise of Winter Solstice which in 3000 and 2500 BCE would appear at 130.48° and 130.39° which fall between 12-13 marked by the blue dot. At Sundown your marker will be between 12-13, and you will have counted 184 days The folks at Stonehenge seem to have been keeping a calendar of 8 periods of 45 days each, plus 5 days. One of the most interesting outcomes of this plotting of the 45 days is that when the lowest five numbers are connected, they create a pentagram which in this case becomes a pentacle since it is inside a circle. The oldest representation of a pentagram comes from Mesopotamia 3000 BCE, but it seems the folks at Stonehenge already had one in 3154 BCE when their calendar started. There is a great deal of symbolism attached to both the pentagram and pentacle which exists among many cultures in the world. However, the most important thing about this one at Stonehenge is that it shows a direct link between astronomy and geometry. It was astronomy and the counting of those 45 day periods on 56 places which created the pentagram. The magic number 6.4285714 does play a great part at Stonehenge. It’s the number of degrees between Aubrey holes. It’s the number of degrees of the Moon/Sun indicator eclipse zone on the Avenue. It is the hours, minutes and seconds between first flash of the Moon’s rising and the first sliver of light of the Moon as the eclipse started passing away again. And last, but not least, it represents 45 days which divided the Aubrey hole circle into the quarters and cross quarters of the year. The layout for the 56 Aubrey holes was also created using astronomy. 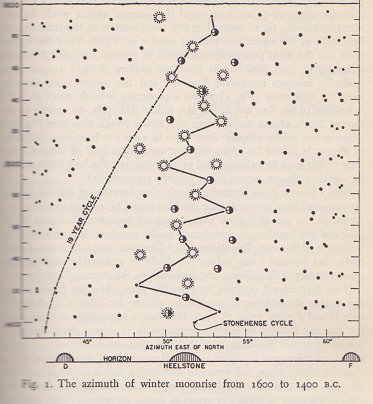 (2) It would seem that right from the beginning Stonehenge was all about astronomy. So far I have not found any use of higher mathematics here, nor did they use any complicated geometry. The pentagram was only the outcome of the 45 day cycle. This entry was posted in Ancient History and tagged 45 day cycle, 6.4285714, calendar, pentagram, Stonehenge. 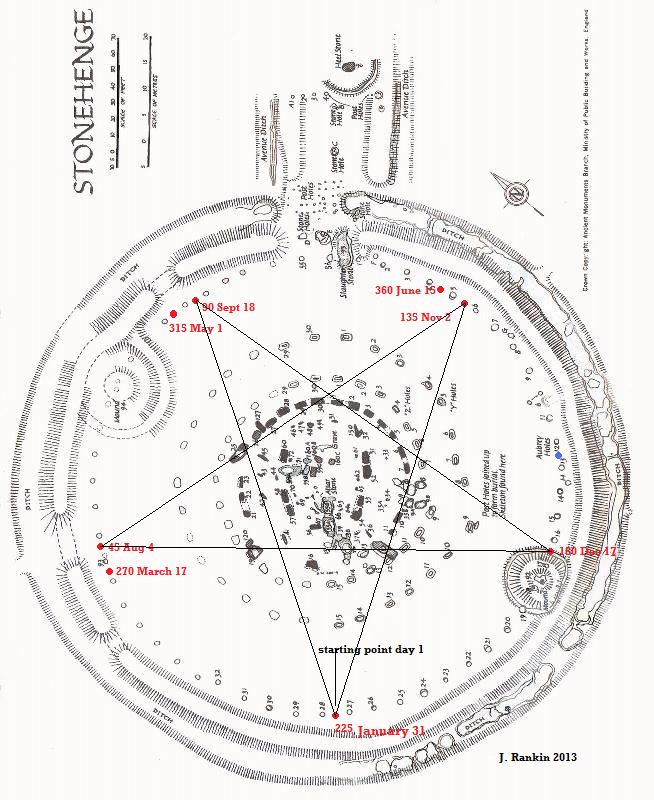 Looking at your maps it is obvious one of the functions of Stonehenge was as a calender. I am making a list of places I intend to visit, and Stonehenge happens to be one place. It is getting more obvious all the time. That 45 day cycle really surprised me. I’d really like to visit Stonehenge as well, but I doubt I’ll ever get there. Hope you enjoy it. This was a nice find, care of your recent comment on Alex Jones’ The Liberated Way. As a long-time resident of Devon before I left England to come to the USA, visits to Stonehenge were a frequent excuse to pause the journey between Totnes and London. Always a magical place, Stonehenge on a cold, raw Winter’s day could transport one back to very ancient times. Lucky you always passing by, have yet to see it for real. It is magical, go near it and you’re hooked for good. What a wonderful huge puzzle. Thanks for the compliment. Great to know someone else has found sailors at Stonehenge. Book sounds fascinating, I’d love a copy.